Okay then – with that out of the way, here’s my first deep sky image with my newly-sorted setup. this is M33, the Triangulum Galaxy. Its a lovely object, though apparently fairly difficult to capture due to its low surface brightness. 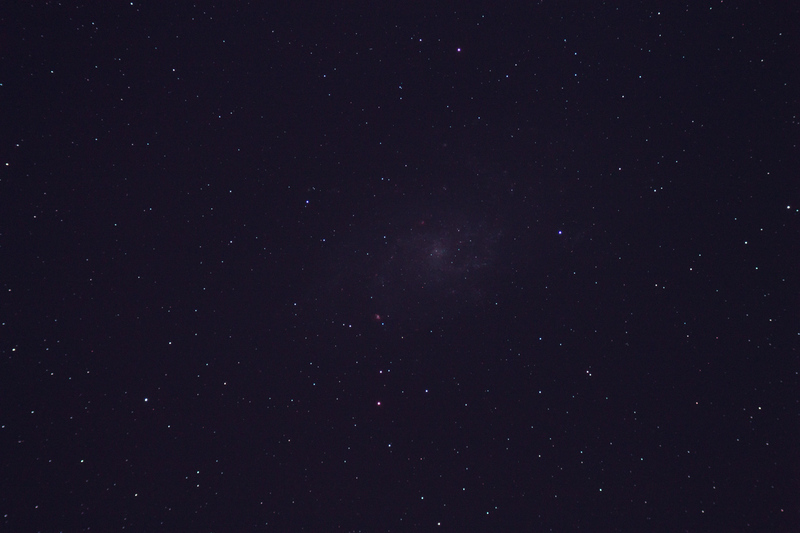 This is made up of 29x 4 minute exposures at ISO800 with my astro-modified Canon 1100D. It’s taken through my Starwave 102ED f/7 refractor, and guided using a finder-guider (with a QHY5v strapped to the back). 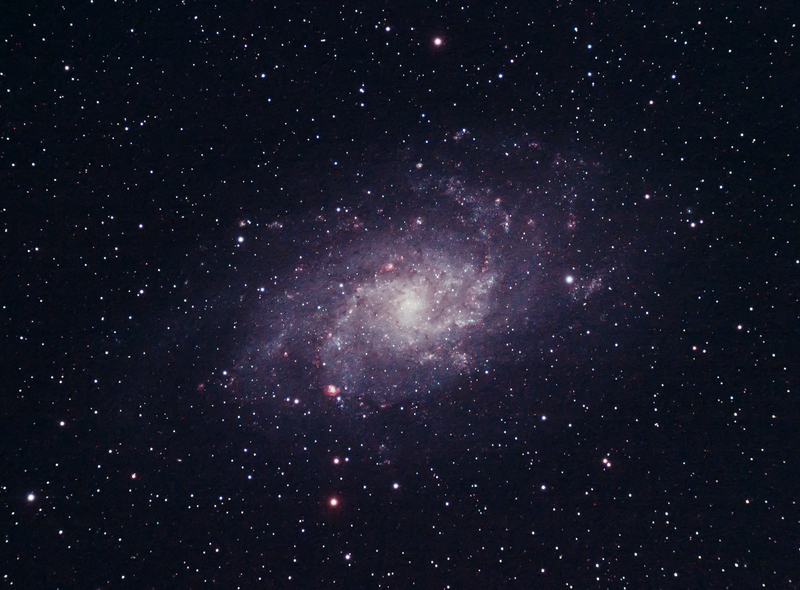 The image was filtered from the worst of the light pollution by an Astronomik CLS clip filter. The whole lot was stacked in Deep Sky Stacker, and then processed in Photoshop and Lightroom. Cropped slightly to centre the object. Just out of interest, see the image to the right for a sample of a single sub-exposure taken that night. Again – amazing what can be pulled out of it when stacked and processed. 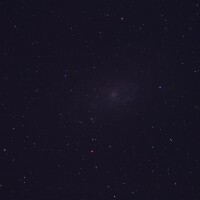 In the sub frame you can only see the core of the galaxy, and a little of the surrounding detail, but certainly nothing like you eventually see when the image is stacked and stretched. Well done, Adam. A brilliant image!